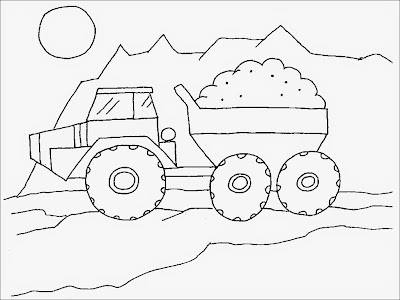 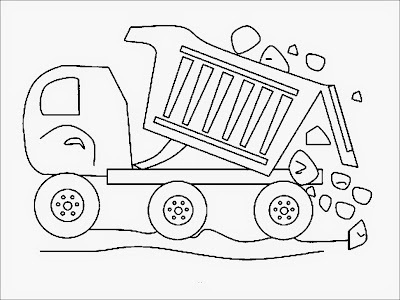 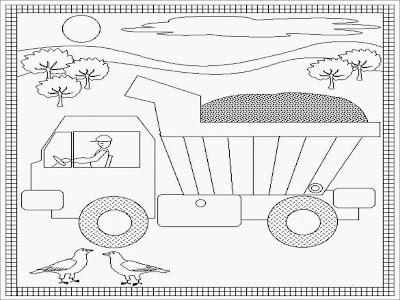 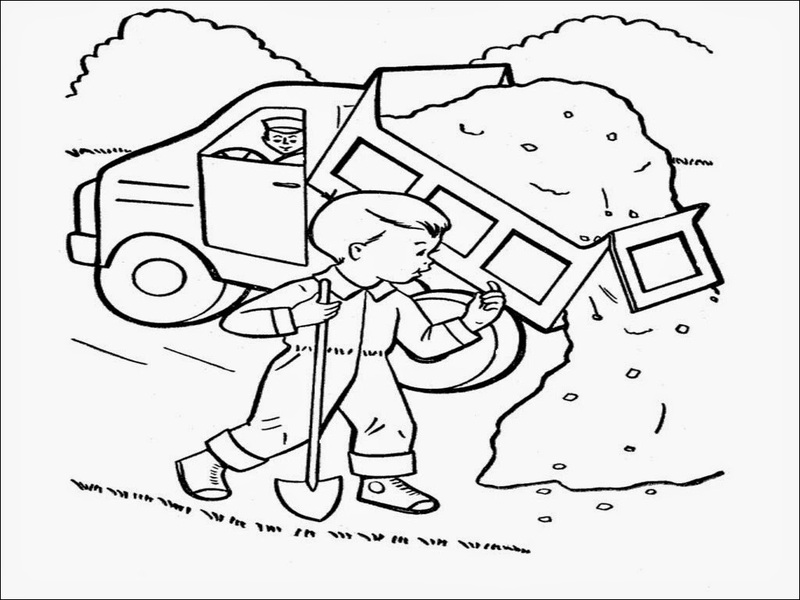 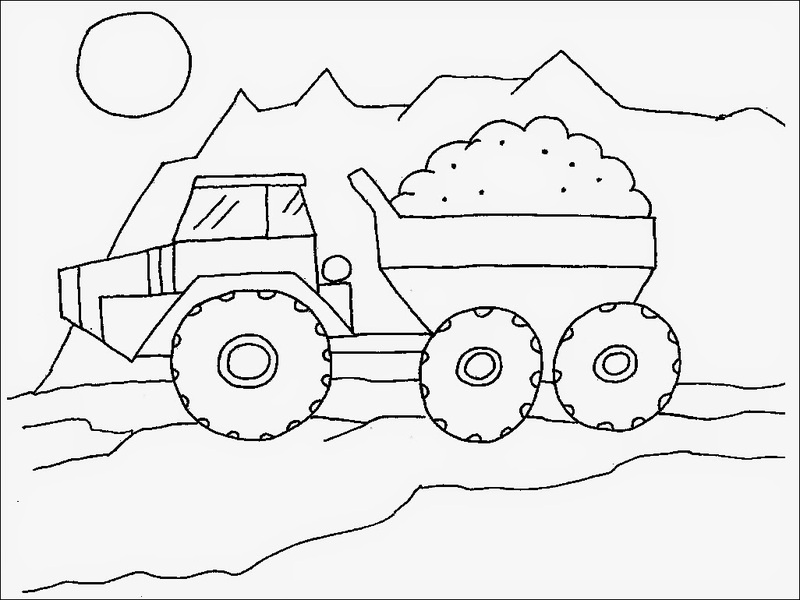 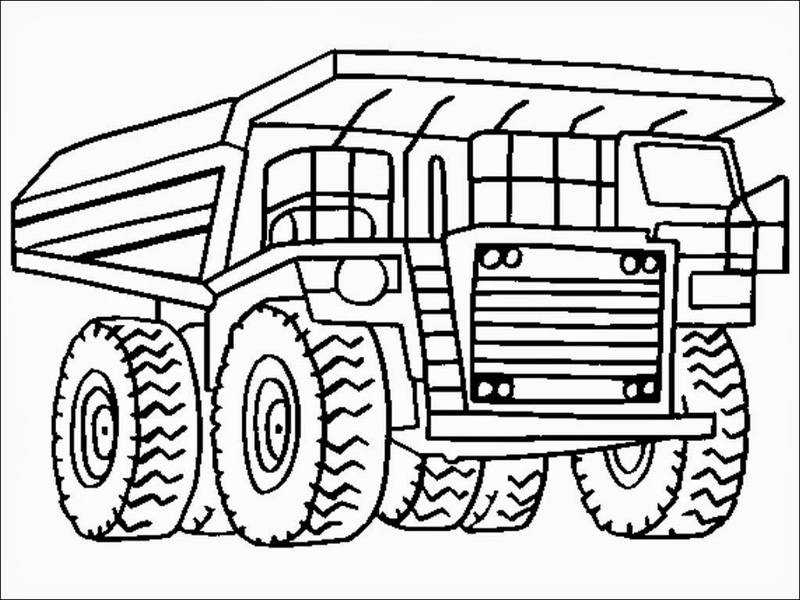 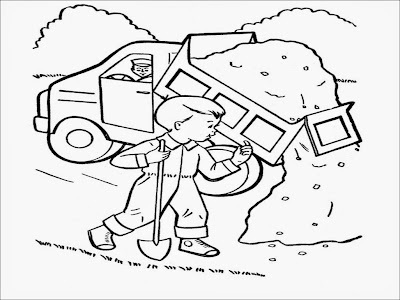 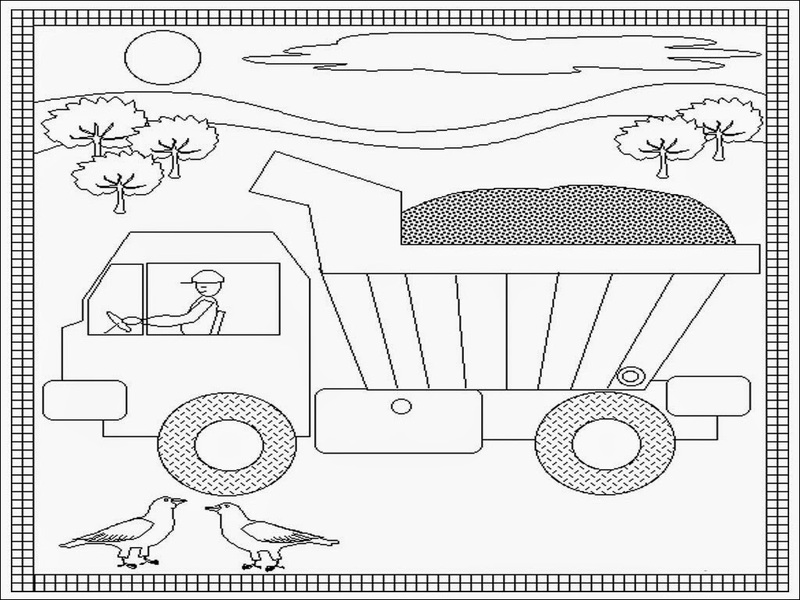 Here you can downloads free dump truck coloring pages printable. 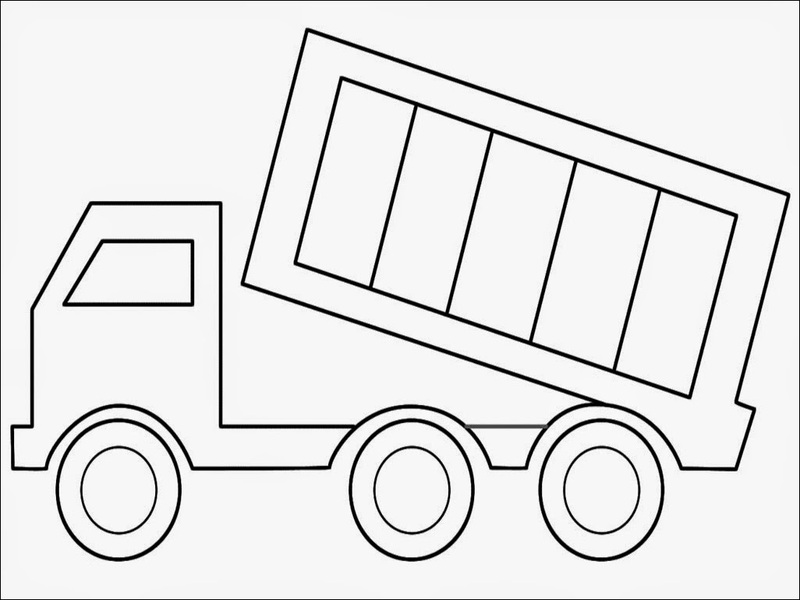 Dump truck is a truck whose contents can be emptied without human handling. 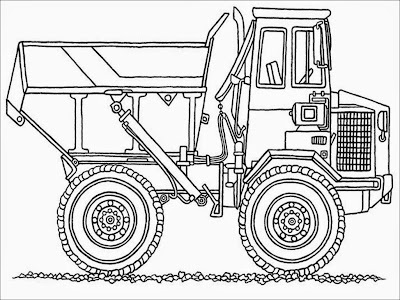 Dump trucks used to transport goods sort of sand, gravel or soil for construction purposes. 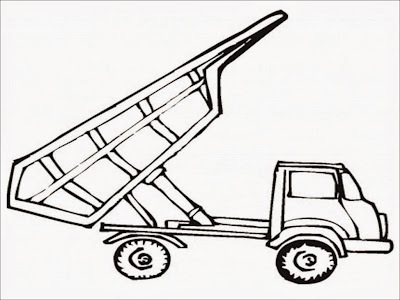 In general, a dump truck equipped with a pickup that is operated with hydraulic assistance, the front of the tub can be pulled up so as to allow material to be transported can be dropped down to the desired spot. 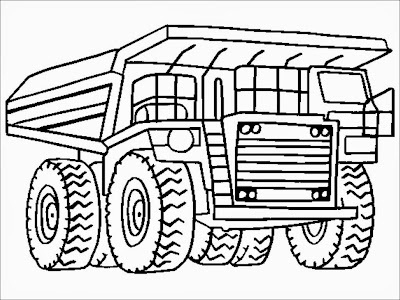 There are dump trucks in different shapes and sizes. 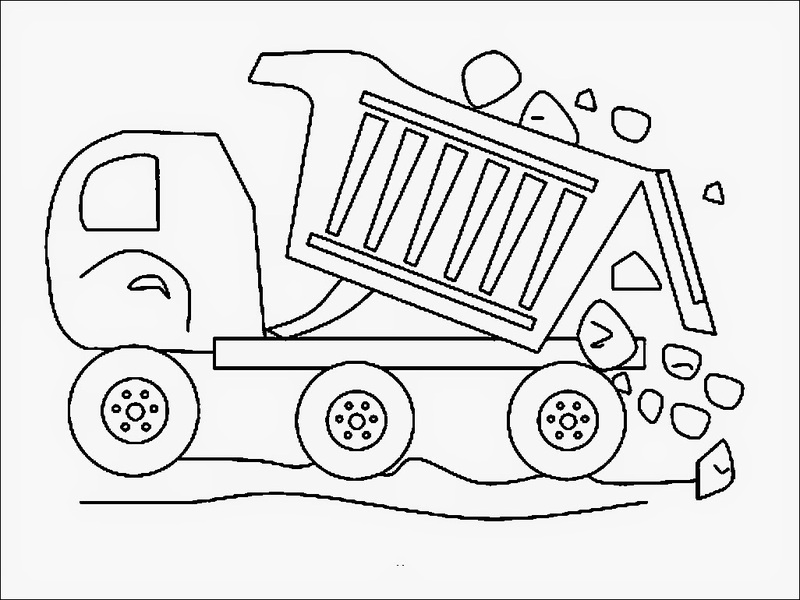 This site is an important factor as well as the materials to be transported. 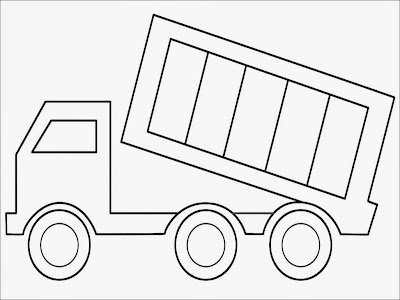 For each type of material fact exists an effective dump truck. 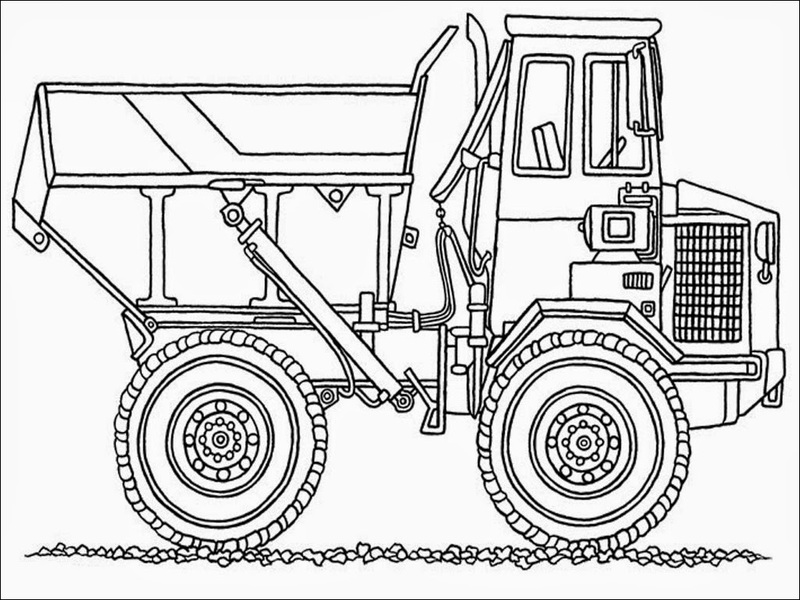 In mining for example, large self-propelled dump trucks are used to transport minerals. 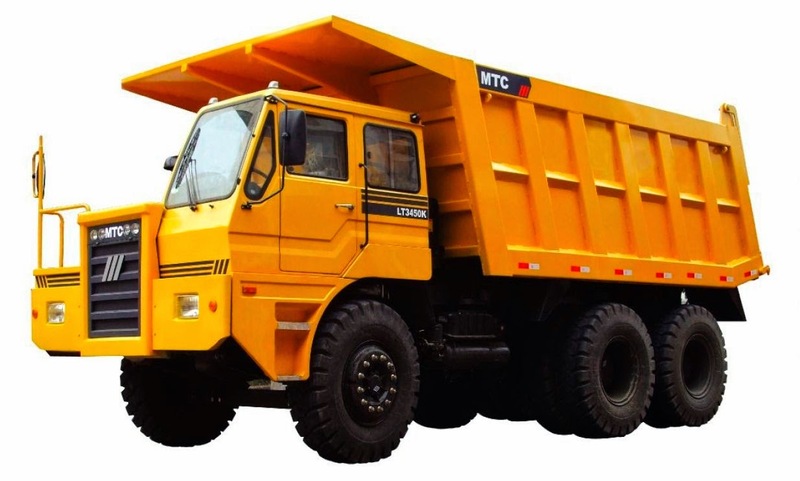 There are dump trucks that are especially suitable for rough terrain. These include a dual shaft drive, whereby it is possible to very short cornering on rough terrain.